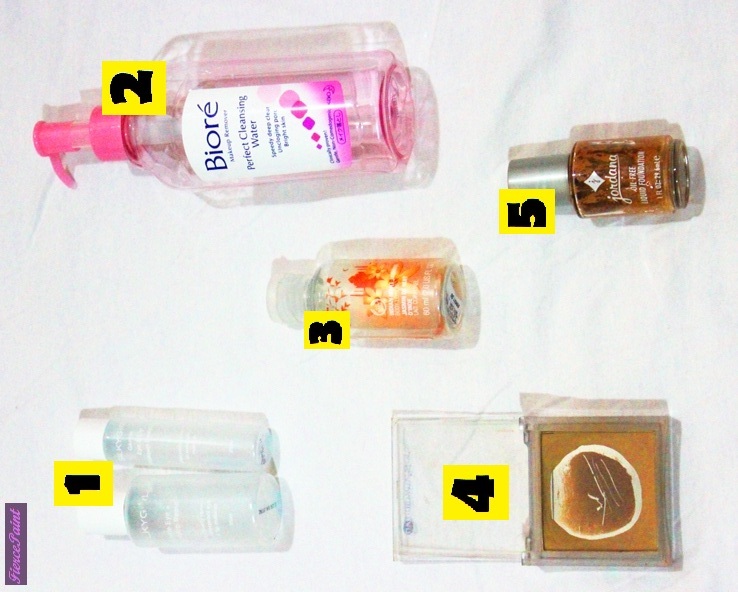 Why I do product empties and include more than just makeup is all detailed in my first product empties post which you can read about here. I previously just took the picture collectively but this time around I have decided to take each picture individually as well to attach beside each description. This is the package in which the smaller bottle came in as a free gift. 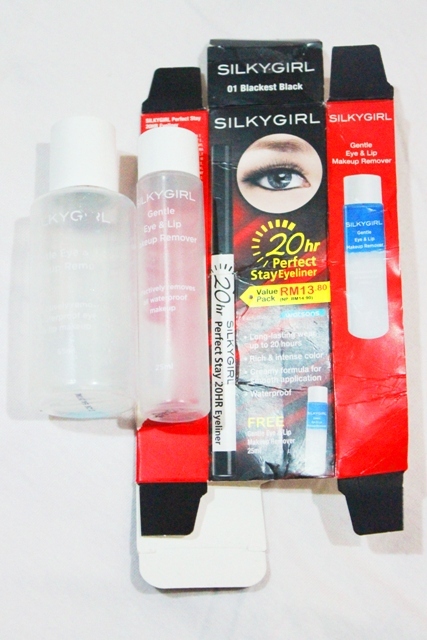 1; This is the Silkygirl Gentle Eye & Lip Makeup Remover. There are 2 bottles, a small one and a larger one. The smaller one isn’t one that can be purchased unless it came in the double product package in the picture to the left which costs MYR 13.80. The other larger bottle is actually the smaller one (55ml) for sale and retails for MYR 7.90. The larger bottle for retail contains 110 ml of product and retails for MYR 16.90 (not shown in picture). It is a bilayer makeup remover with oil and water which needs to be shaken before use. It is a pretty good makeup remover since makeup like waterproof eyeliner and matte liquid lipsticks need some kind of an oil based makeup remover to remove them. I am definitely going to repurchase this but only the smaller one and do a review on it in the future. 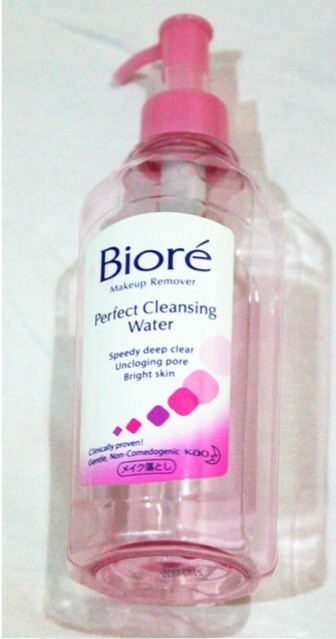 2; This is the Biore Perfect Cleansing Water which I have previously reviewed here. I love this makeup remover and I also use it as a cleanser if I am in a rush to cleanse my face. It does not strip my face of moisture and does not leave a sticky feeling on my skin. Definitely going to repurchase this! Caution, it tastes very bitter so beware of it getting around your mouth/lips and God forbid you should lick your lips then! 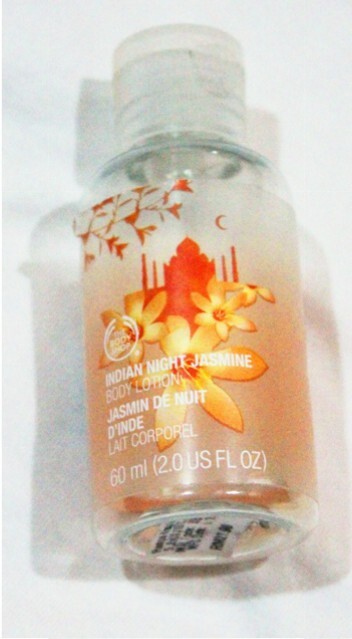 3; This is The Body Shop, Indian Night Jasmine body lotion. This smells simply amazing! The scent is pretty strong that it would smell like I am using perfume although it isn’t long lasting. The sticker on the bottle can be removed easily and the bottle can be reused because the cover is a screw cap and it is a squeeze bottle. I actually got this as a giveaway but the price tag shows that it retails for MYR 21.90. I want to repurchase this but I can’t seem to find the small bottle. 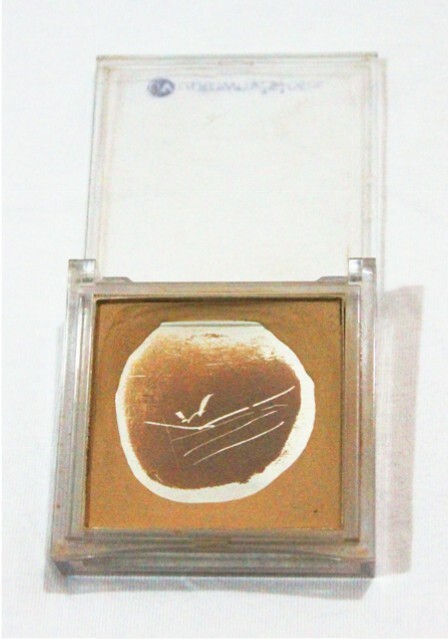 4; This is the uptownvisions pressed powder in Tender Brown. I purchased it at Guardian quite a while ago and I don’t remember exactly how much it cost me but I think it was under MYR 15. It is probably one of the best pressed powder I have ever used and I would compare it to my high end pressed powder foundations. However, I have tried and tried to look for it and it is no more available here. I can’t even find it online! No website, no nothing! 😦 There is still a little bit of product left and I love using it as a setting powder to set my foundation and eye primer. I even mix it in with a darker greyish brown powder and use it as a cheek contour on my friends with lighter complexion (of course I’d use this only if it was a favour and I don’t get paid for helping someone with their makeup but if I was getting paid, I would use my more expensive products). 5; This is the Jordana Oil-Free Liquid Foundation that I reviewed here. It is an ok foundation for me and I do mix it with other foundations to bring down the orange-ish tint that it has when it oxidises on my face. I am not going to repurchase this because I would like to try out other drugstore liquid foundations. There is one last portion left in it for a full face but hey, it’s basically empty.